Looking for a fun frozen pop that’s not an ice pop? Look no further. 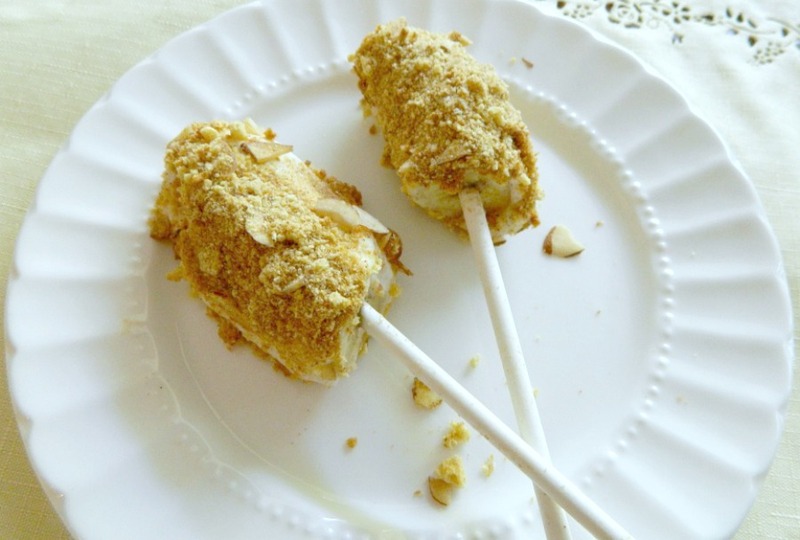 These frozen banana crunch pops are a hit with both kids and adults. Here is a recipe that came to me while having breakfast with my son Josh. He wanted a banana in the morning and he also wanted some dry cereal, so I gave him both. I was eating Greek yogurt with a banana, and he asked if he could have a spoonful of my yogurt on his plate with the banana. He took the banana and dipped it into the yogurt and then into the cereal and said “I like eating my banana this way”. I thought how yummy that would be frozen. I asked Josh if he wanted to help me make up a new recipe. He said yes and off we were creating this great frozen treat. It was his idea to put them on stick. So here is “Josh’s Frozen Banana Crunch Pops” Adults will love these as well. It’s so smooth and creamy with a great crunchy coating. You will love the amount of fiber this has too. Make a batch up soon and taste the frozen goodness! Have a plate or small cookie sheet lined with wax paper. Set aside. In a wide bowl or plate, mix the yogurt along with sugar, one tsp cinnamon, and vanilla extract. Set in fridge for a few minutes until ready to use. Peel and slice each banana into 3 even pieces. Gently insert the Popsicle or lollipop stick half way through. If you find this hard to do, you can skip to step 4, freeze for about 10 minutes and then put the sticks in. Have your two plates ready with the yogurt mixture and the crunchy mixture. Start with the yogurt and roll each banana piece into the yogurt. Lightly coat each piece with a spoon. After, roll the banana piece into the cereal mixture. Lay on your prepared pan with the wax paper and do this with the remaining 6 banana pieces. Place in the freezer for one hour and ten minutes If they stay in the freezer longer, let them sit out for a few minutes before eating. This way you will still have the creamy texture of the banana and the yogurt when you bite into them. They are so filling yet refreshing all at the same time. Enjoy the cold, creamy, crunchy deliciousness! Looking for a fun, frozen pop that’s not an ice pop? Look no further. 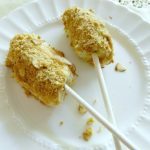 These frozen banana crunch pops are a hit with both kids and adults. 1.Have a plate or small cookie sheet lined with wax paper. Set aside. 2.In a wide bowl or plate, mix the yogurt along with sugar, one tsp cinnamon, and vanilla extract. Set in fridge for a few minutes until ready to use. 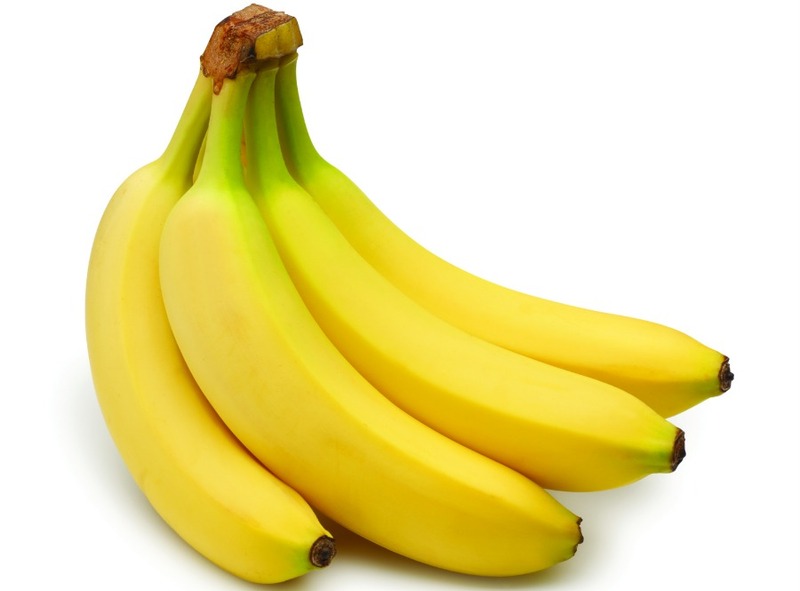 4.Peel and slice each banana into 3 even pieces. Gently insert the Popsicle or lollipop stick half way through. If you find this hard to do, you can skip to step 4, freeze for about 10 minutes and then put the sticks in. 5.Have your two plates ready with the yogurt mixture and the crunchy mixture. 6.Start with the yogurt and roll each banana piece into the yogurt. Lightly coat each piece with a spoon. After, roll the banana piece into the cereal mixture. Lay on your prepared pan with the wax paper and do this with the remaining 6 banana pieces. 7.Place in the freezer for one hour. If they stay in the freezer longer, let them sit out for a few minutes before eating. This way you will still have the creamy texture of the banana and the yogurt when you bite into them. They are so filling yet refreshing all at the same time.